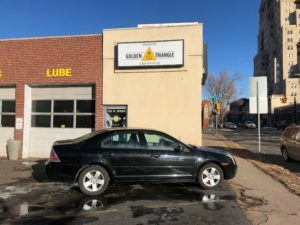 Golden Triangle Auto Care believes strongly in being engaged with and giving back to their Denver Community. Their current project involves the overhaul of a 2005 Ford Fusion which will be donated to a family in need this 2018 Holiday Season. Each year, owner Marc Zandell has kept an eye out and ear to the ground for opportunities to support those in need within the Denver Community. He and his crew at Golden Triangle Auto Care have done everything from seasonal food & clothing drives, to rallying fellow businesses in the Golden Triangle to collect & distribute school supplies to neighboring educational campuses. At the close of 2017, Marc formulated his goal for securing, fixing up and donating a car to a needy family in time for the 2018 Holiday Season. As a member of the Golden Triangle Creative District and the associated Golden Triangle Business Networking group, Marc floated this idea out at the first GTBN meeting in Janaury 2018: securing a car that was in good shape body-wise, but might have a long list of maintenance needs. 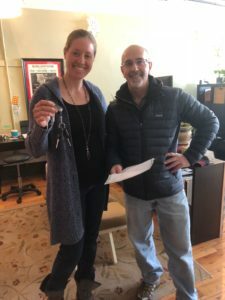 Sure enough, fellow business owner Dr. Miaken Zeigler, Zeigler Chiropractic said she had the perfect vehicle for the project: her 2006 Ford Fusion, sporting 153,000 miles on the odometer and a modest list of maintenance issues. In no time at all, Marc and Miaken agreed on a price for the car. The check, title and car keys were exchanged within the week! This is what we have so far! We’ll be posting again in another 30-days with an update on our progress. We’ll also share information on our generous parts & supply partners who are contributing to the restoration of this Ford Fusion. Of course, we will be sharing more about the community partners we are working with to help identify the family that will receive the vehicle – hopefully just in time to make their holidays a little bit brighter!